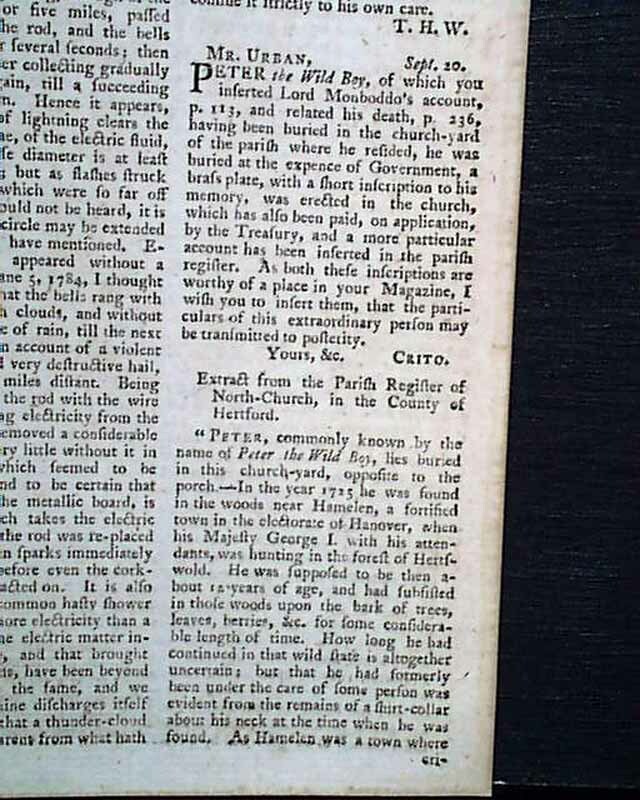 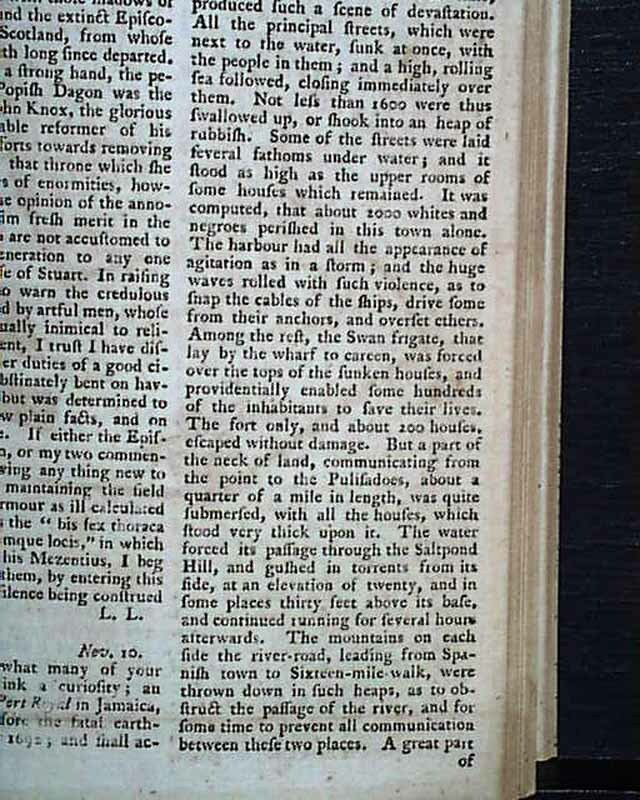 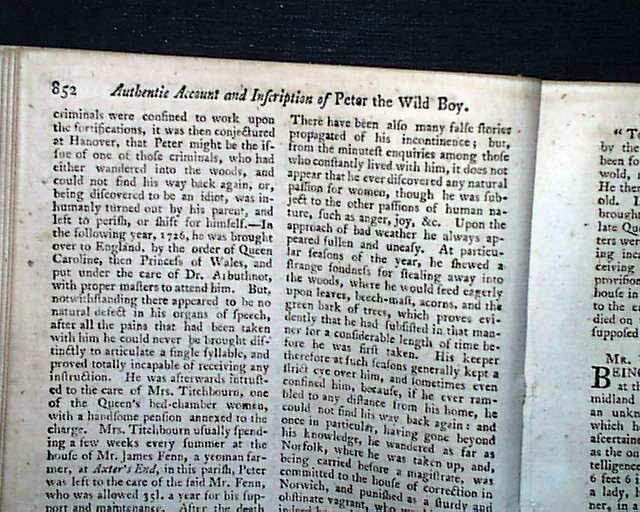 THE GENTLEMAN'S MAGAZINE, London, November, 1785 Inside has over a full page taken up with: "Peter the Wild Boy" who was quite the sensation at the time (see Wikipedia for much more on him). 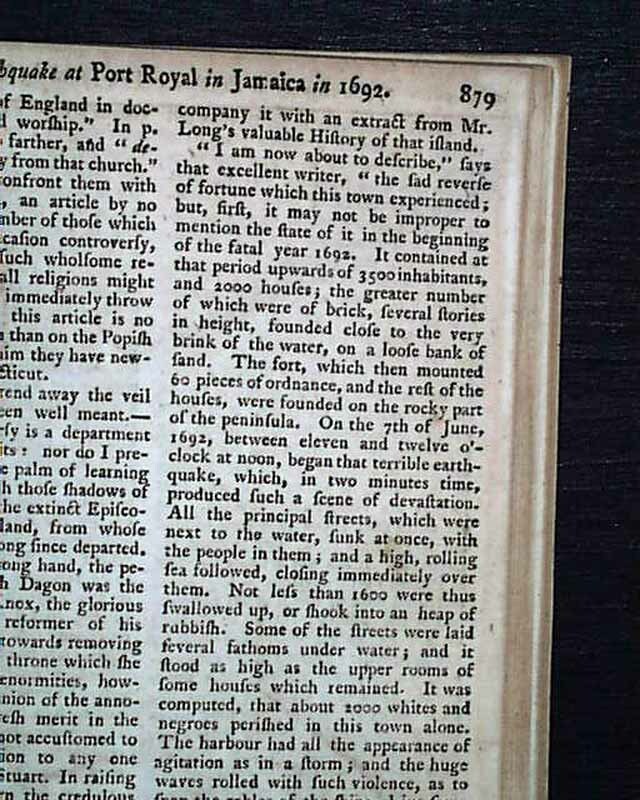 Also: "Observations on the Properties & Effects of Coffee" & much more. 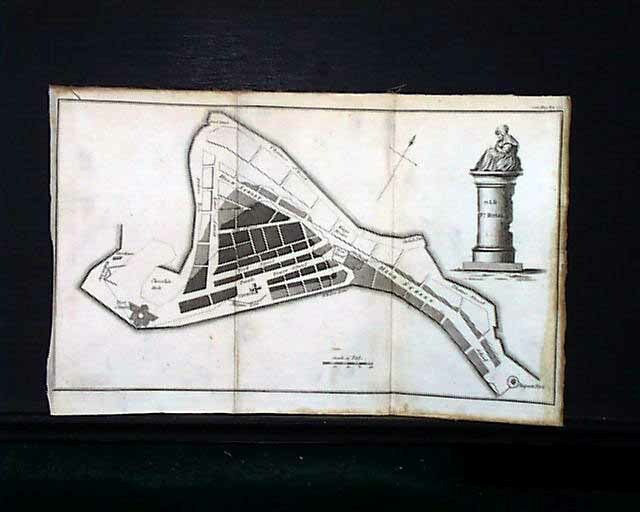 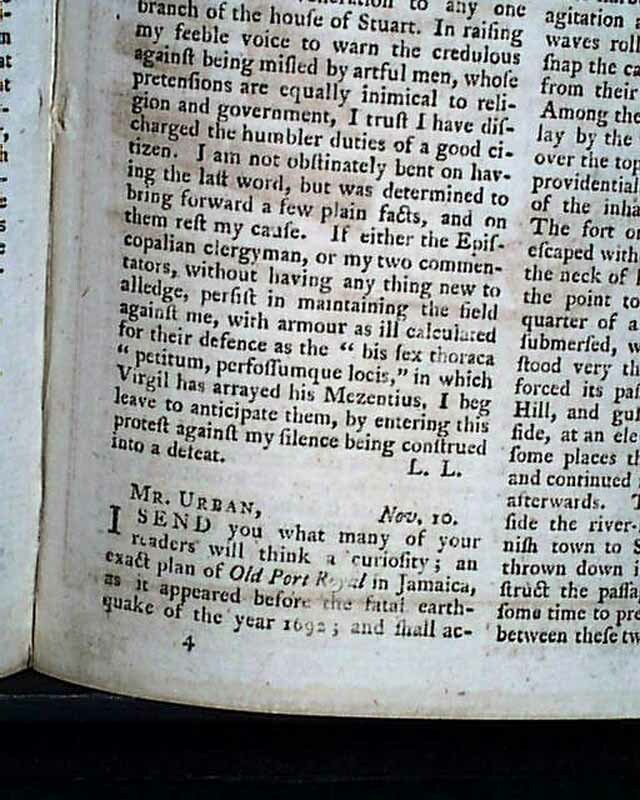 The best item would be the very nice & detailed foldout map of "Old Port Royal" in Jamaica, with an accompanying article: "Earthquake at Port Royal in Jamaica in 1692" during which a portion of the town sunk into the ocean. 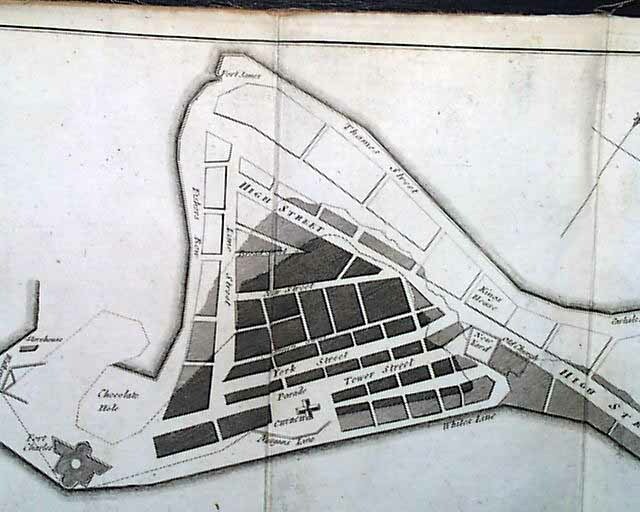 Port Royal was a haven for pirates at the time. 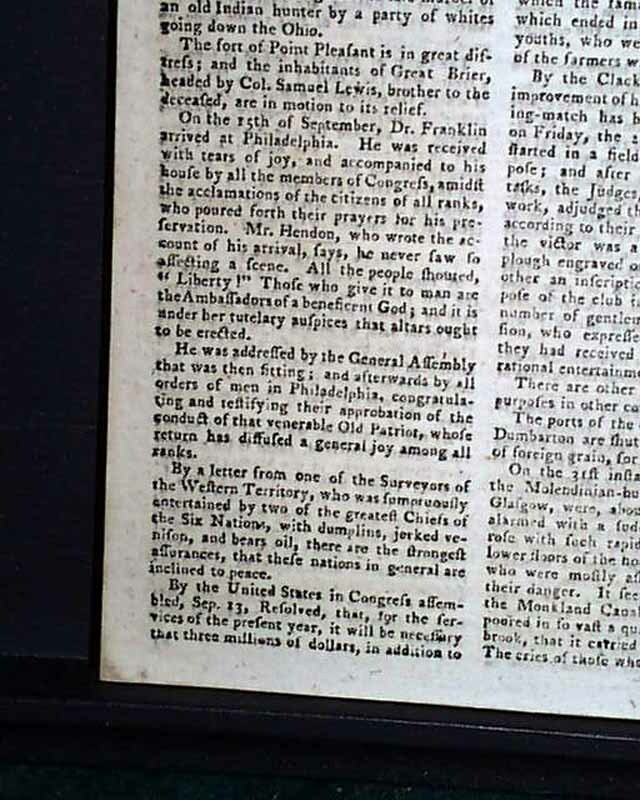 Near the back is over half a page of news reports headed: "America" which includes: "...the 25th of Sept. Dr. Franklin arrived at Philadelphia. 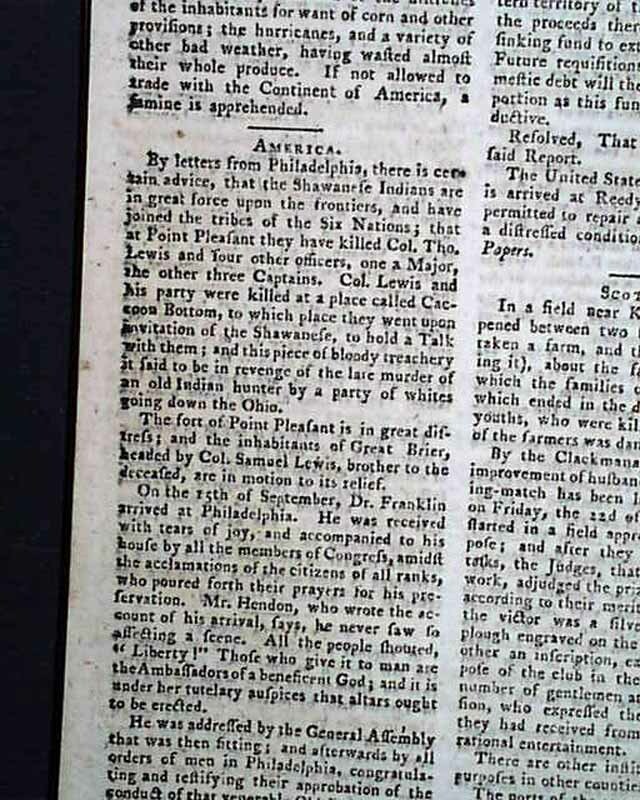 He was received with tears of joy...acclamations of the citizens of all ranks..." with other news items as well. 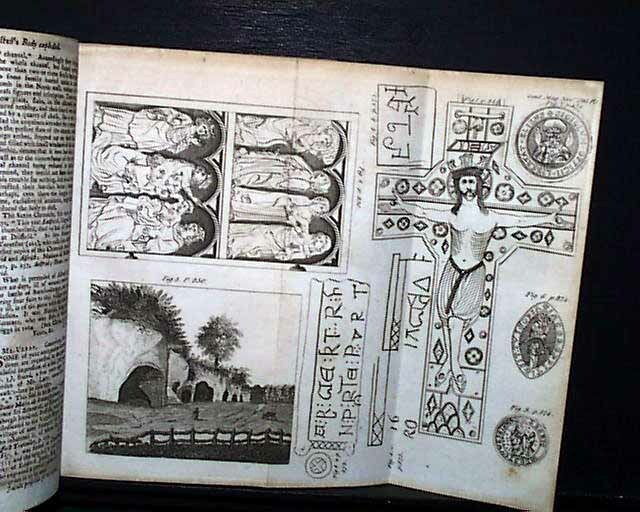 Included also is the other foldout plate called for. 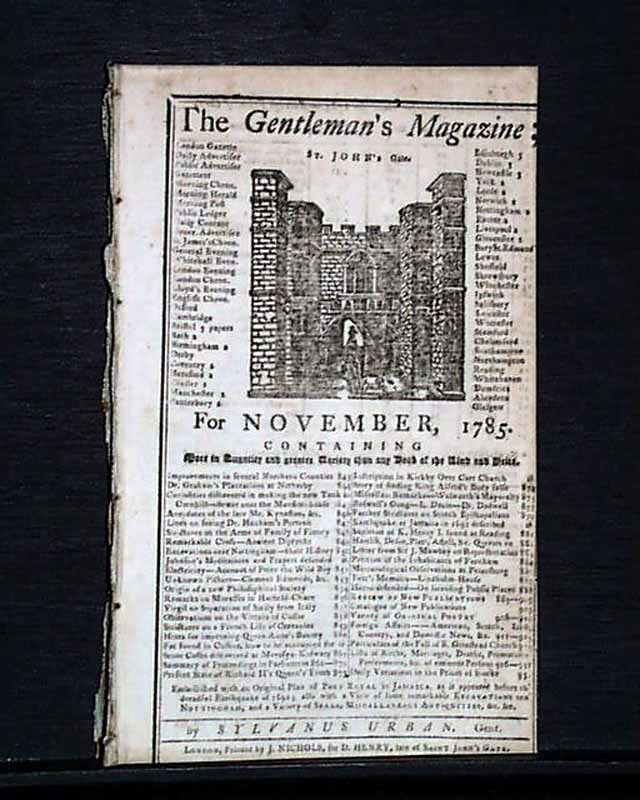 Complete in 84 pages, 5 by 8 inches, full title/contents page featuring an engraving of St. John's Gate, the title page is close-trimmed, otherwise is in very nice condition.